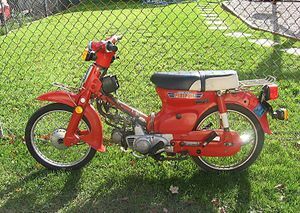 The Honda C70 is a 4-stroke 72cc OHC street motorcycle manufactured by Honda between 1970 and 1984, which replaced the similar C65 model. 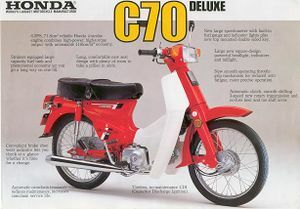 The C70 was the elder brother of Cub C50, with more power, same cheap economical ride and reliability. 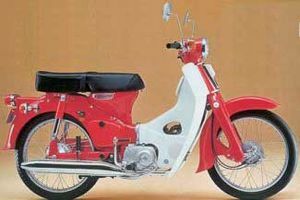 It was introduced in USA, Canada, Asia and Vietnam in 1970, and introduced to the UK in 1972. 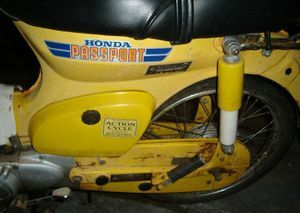 Later US versions were called Honda Passport. 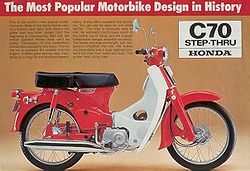 It had a 72cc air-cooled single overhead cam engine (a bigger-bore version of the C65), an automatic 3-speed gearbox, enough power to pull this motorcycle to a top speed of 50 mph (80 km/h). 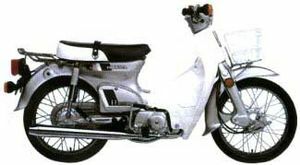 First models had 6 volt electrics, in 1982 12volt electrics and CDI ignition were introduced to further improve the reliability of the engine, and to ease servicing. 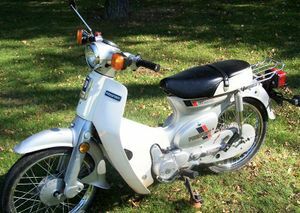 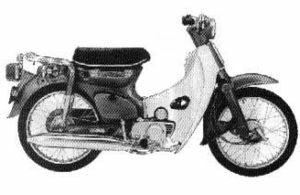 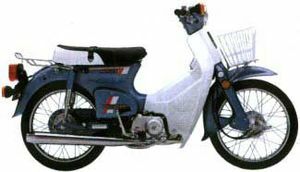 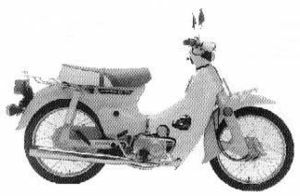 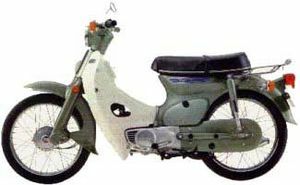 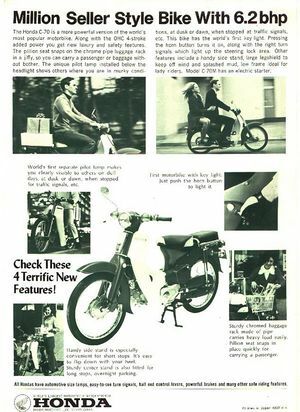 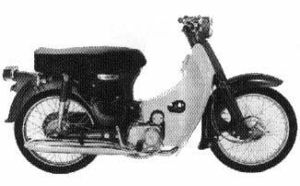 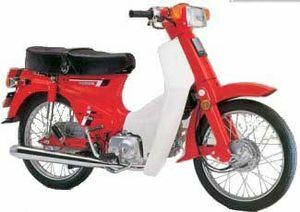 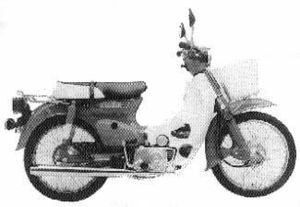 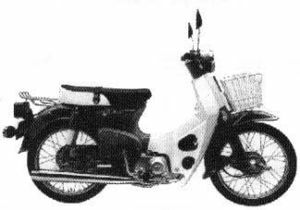 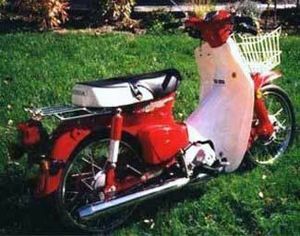 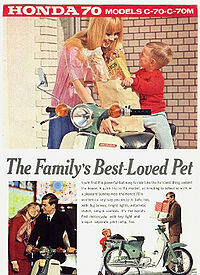 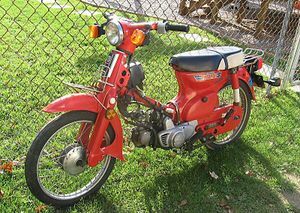 It had a step-through moped like design similar to most other motorcycles in the Cub series. 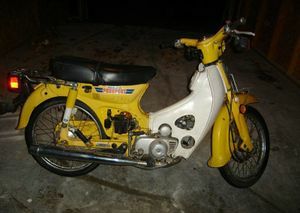 Electrics: 6 Volts to '83, 12 Volts after. 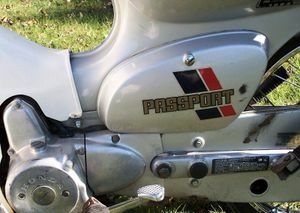 Available colors: Aquarius blue, Bright red, Pine green, Elephant Grey or Yellow. 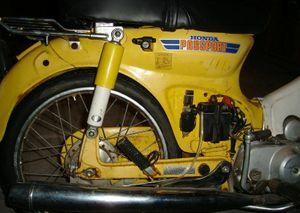 Fuel tank emblem read "HONDA 70"
Seat: single or dual depending on market. 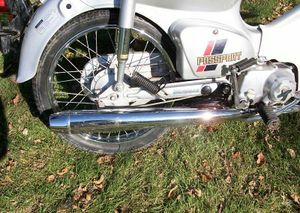 Rear footpegs: standard with dual seat. 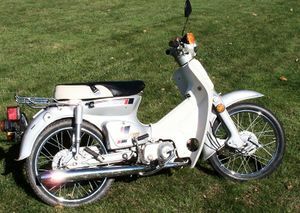 Starter: electric start optional (C70M) Standard in some markets. 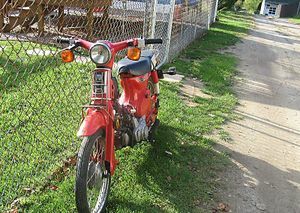 Tail light: depends on country of sale. 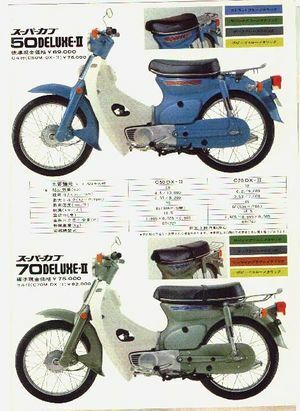 Available colors: Aquarius blue, Bright red, Pine green, Elephant Grey, Yellow. 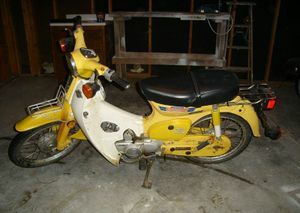 Available colors: Parakeet Yellow and Angel Blue. 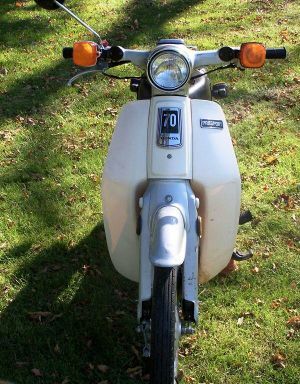 This page was last edited on 23 September 2012, at 12:00.